NetherRealm Studios held their newest Kombat Kast for Mortal Kombat 11 today, where three characters were shown off. 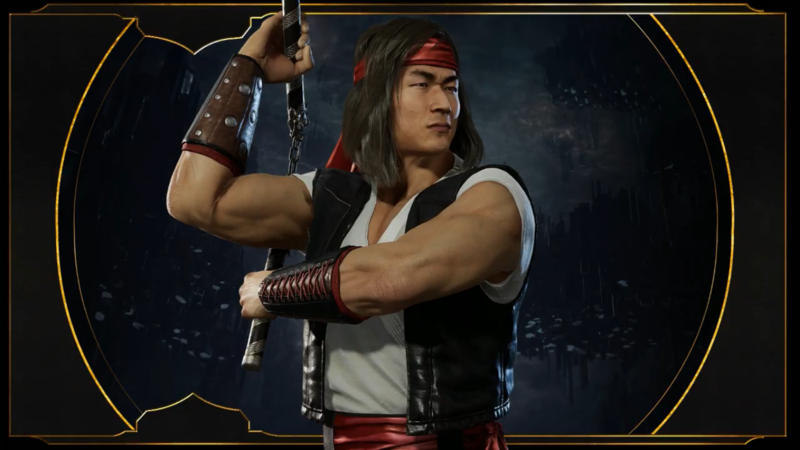 Today’s characters were Liu Kang, Kung Lao, and Jax, first revealed on the State of Play broadcast earlier this week. There has been absolutely no lack of Mortal Kombat 11 information releasing lately. Whether that was the previous Kombat Kast, which revealed Jacqui Briggs, and showed off both Jacqui and Kotal Kahn’s abilities, or last week’s C2E2 event, where they announced that Noob Saibot would be returning for the latest game, and even revealed that Shang Tsung is the first DLC character (complete with the actor who played him in the movie), it is safe to say there is no shortage of MK11 right now. For today’s Kombat Kast, Tyler Lansdown, Community Manager at NetherRealm Studios, was joined by fellow NetherRealm employees, Derek Kirtzic, Game Designer, and Steve Brownback, Senior QA Analyst, to break down the three characters’ abilities. You can get a look at some of their abilities below. Shaolin Parry: A counter that will parry an attack, resulting in a follow-up attack. It can be amplified to launch an opponent into the air to start a combo. Fire Buff: Increases overall damage for a duration of time, can be used in conjunction with Teleport or other moves. Teleport: Liu Kang’s teleports behind his opponent and sweeps their legs. You can also warp from above if holding up while teleporting. Command Grab: Liu Kang grabs the opponent with his nunchucks, pulls them into a knee, then throws them to the opposite side. This move is amplifiable for additional damage. Special Stance: Liu Kang uses nunchucks for its duration. He can deflect projectiles if he times it right, and even has certain combos which can only be done while in this special stance. Orbiting Throw: Kung Lao tosses his hat as a projectile which circles the opponent and will cause damage if you hit them into it. It also consumes Stamina to use the ability so use it wisely. Dive Kick: Kung Lao dives from the air to kick his opponent. This move can be amplified to throw the opponent to the ground following up with a series of punches. Teleport: Kung Lao’s classic teleport. It can be used to transition into a new, special attack, or you can amplify the Teleport leading into a throw move. Z-Hat: Kung Lao throws his hat in a Z pattern, hitting the opponent multiple times. This move can be amplified to deal more damage, but will be slower on the release. Special Stance: Summons a spirit, one of the attacks from this stance launches the opponent, and another attack sends them across the screen with a blast. Dash Punch: Jax dashes halfway across the screen to deliver a vicious punch. Passive buff: The more punches Jax lands, the more damage he deals. Also causes his arms to glow red hot. When his arms are glowing, certain attacks can result in a Krushing Blow, and he even gains a ranged attack which focuses the heat into a blast. Gotcha: A command grab. Allows Jax to grab the opponent, then hit them, or choose to switch the side that the opponent will be left on at the end of the move. Overhead Slam: Jax jumps and smashes the ground around him. This attack launches opponents, and can be amplified. Ducking Knee Stance: Jax ducks down Mike Tyson style, and can then unleash multiple attacks that will deal high damage. This special stance can also be amplified to launch the opponent into the air. Do any of these abilities seem unique or interesting to you? Which characters are you most excited to play as in Mortal Kombat 11? Let us know in the comments!